Oligo- and polysaccharides are important macromolecules in living systems, showing their multifunctional characteristics in the construction of cell walls, energy storage, cell recognition, and their immune response. The chemical synthesis of oligo- and polysaccharides is feasible though it can be laborious since multiple protection, deprotection, and purification steps are required. In contrast to this, phosphorylases are useful synthetic tools for the preparation of natural oligo- and polysaccharides, glycoconjugates, and their analogs. Since phosphorylases are rather tolerant with respect to utilizing modified donors and acceptor substrates, they can be used to prepare oligo- and polysaccharide analogs and for diversification of natural products. Their strict primer-dependence allows synthesis of interesting hybrid materials. 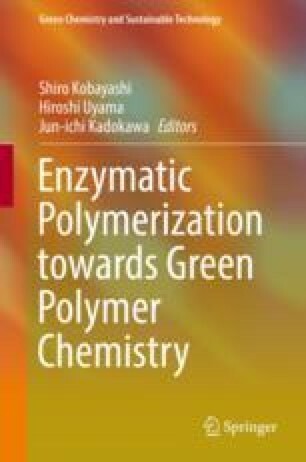 Furthermore, enzymatic reaction, such as that using phosphorylase, is one of the most promising environmentally benign technologies with a simple operation under mild conditions, eliminating undesirable side reactions.